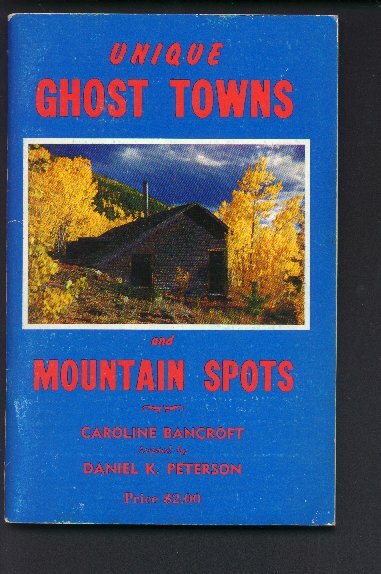 "Unique Ghost Towns and Mountain Spots - 1967 - Colorado"
(823) 1967 - Book - Unique Ghost Towns and Mountain Spots in Colorado - By: Caroline Bancroft-Condition: Very Good This fascinating Book deals with Ghost Towns and Mountain Spots in Colorado. It contains descriptions, maps, and black and white photos. There is also a fold out map of the trail to follow through the mountains to get to all of the sites. The cover is made of extremely stiff cardboard. There are 96 pages. Price: $6.00 + shipping.